November Twitter Header & Practicing Brush Calligraphy! After updating my twitter header yesterday I thought I might as well post it here on my blog, too. 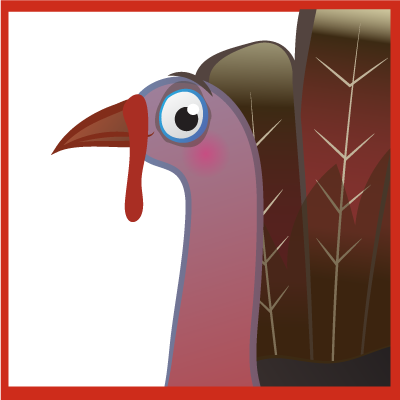 I wasn’t entirely sure what to do so I just drew a turkey until the scene created itself. Naturally I had to make a new profile pic, too. I’m a big turkey now! In other news, I’ve been practicing Brush Calligraphy! It’s completely new for me and I have terrible handwriting – so it’s not a natural fit. 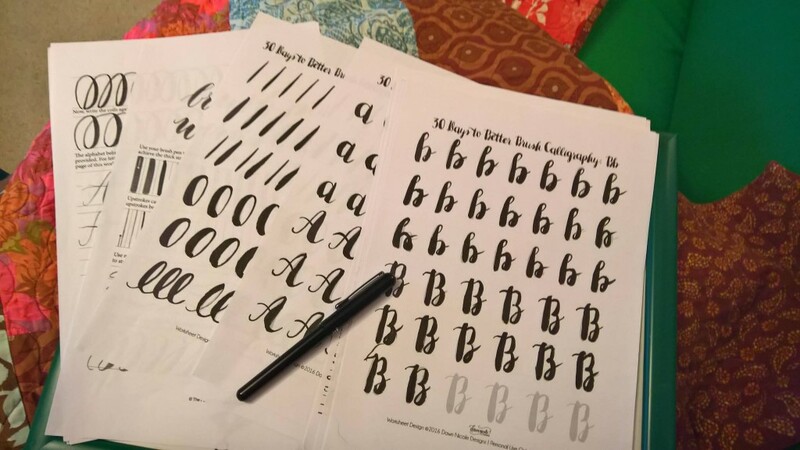 I found some worksheets on pinterest, printed them out – and voila, perfect activity for snuggling up on a chilly evening in front of the TV! If you are interested in learning this super-popular pinterest/instagram worthy skill I recommend you check out both of those sites – and heck, just google “Brush Calligraphy” because it’s apparently so hot right now and I am already late to the party. Am I any good? Nope, not yet – and based on how bad my handwriting is I’m not sure I’ll ever be – but it’s worth a shot! If you are looking for brush pens I can recommend Cult Pens as I’ve ordered from them before and they gave me a free pencil with a stylus on one end and that’s the kind of customer service I can get behind. I’m not saying they’ll give YOU a freebie, just that… you know, they gave me one and you just never know! Ciao for now my friends!